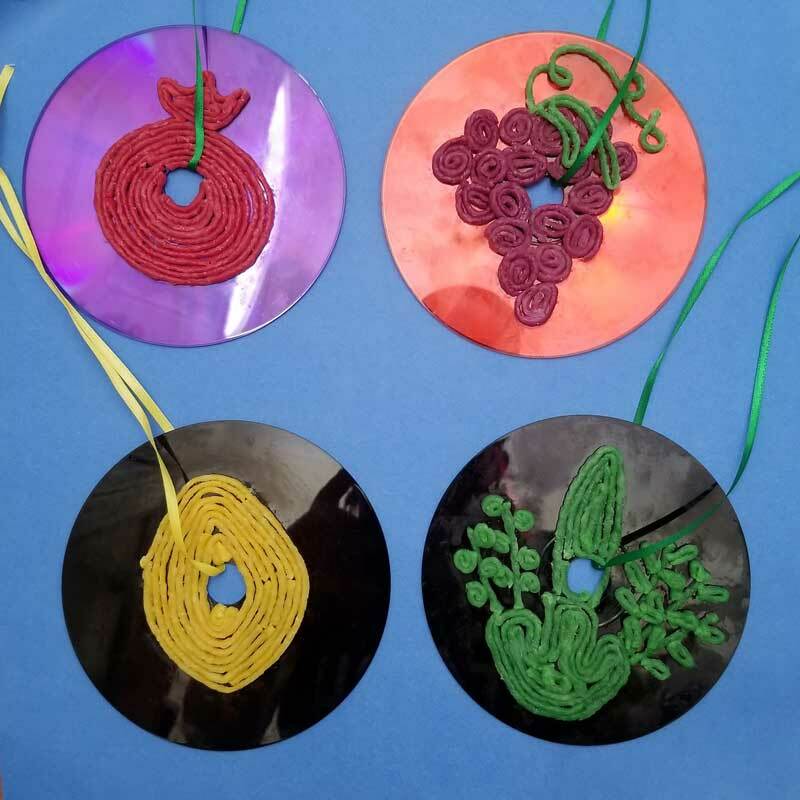 Make these beautiful Sukkah decorations from old CDs and one of my favorite open-ended craft materials! 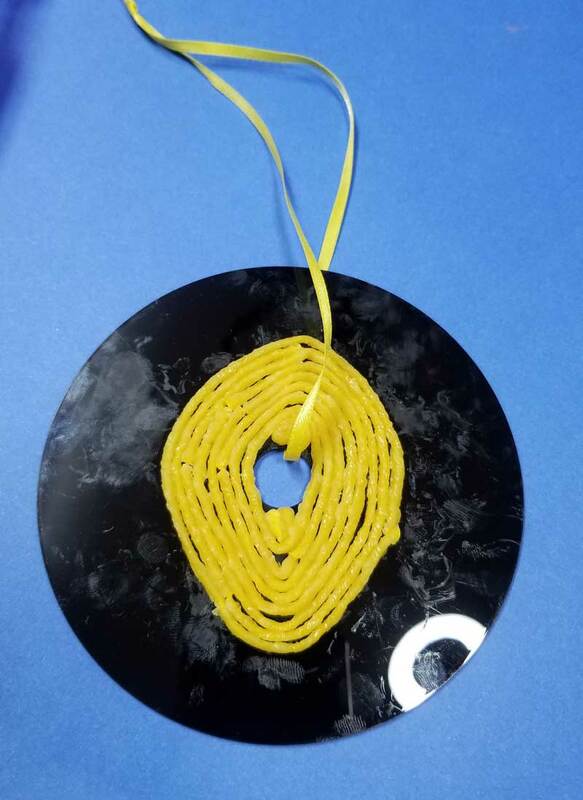 This Sukkah decoration craft was designed for children because last year I shared this DIY sukkah decoration idea for adults and teens. However, it’s open-ended enough that adults can have fun with it too. Disclosure: this post contains commissioned images and links. 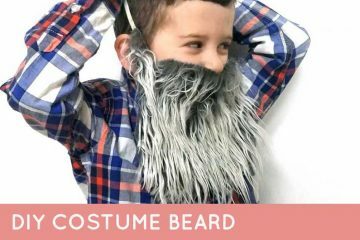 When it comes to fun Sukkah decorations for children to make, I like things that are highly entertaining, and open-ended. While I made these with Sukkah pictures on them, my kids chose to do abstract designs (they did it after I photographed this but you can see what they did in our Instastories.) 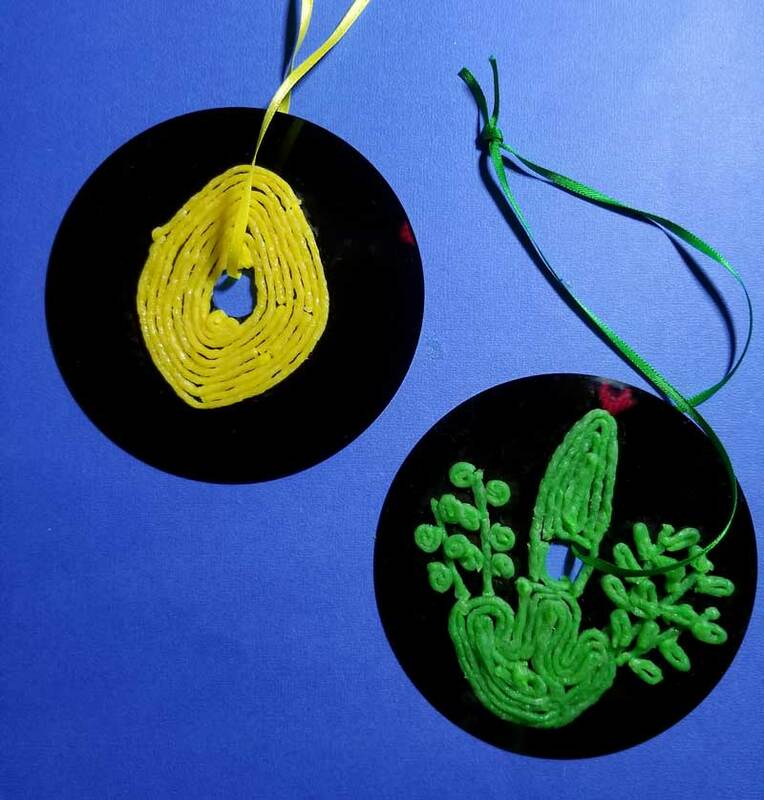 I’ve tried this as an evergreen craft, and kids as young as four showed interest in copying designs as well. That’s the cool thing about this – it’s fun for kids, because they can choose to make something “real” or to do what they want. 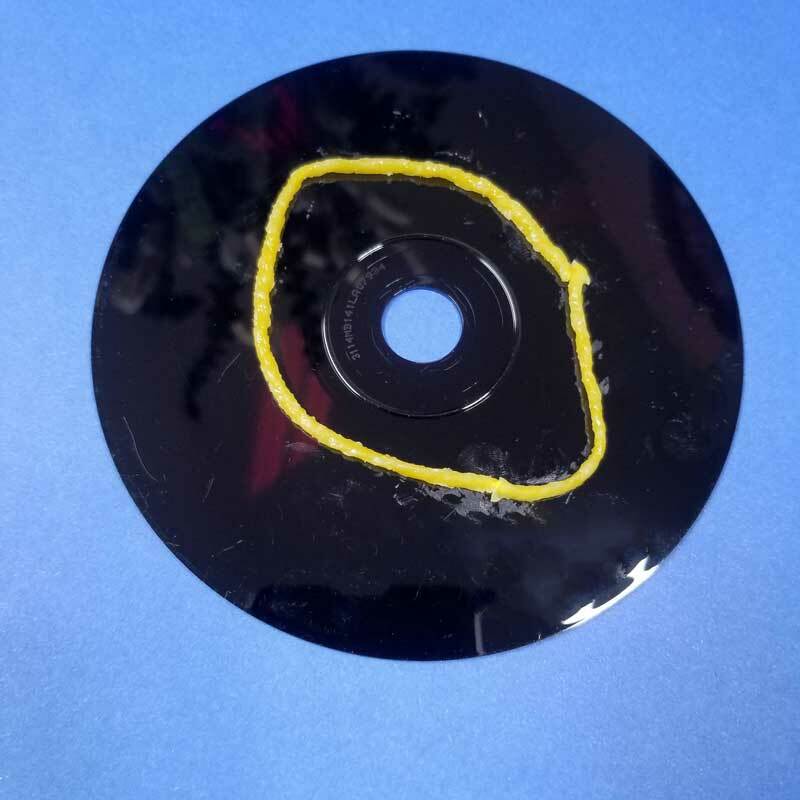 The craft is quite simple: use Wikki Stix (wax covered string sticks) to make patterns on old CDs. I had a pack of colorful CDs from back when I’d make mix CDs to listen to. Yes, I saved it for that long! 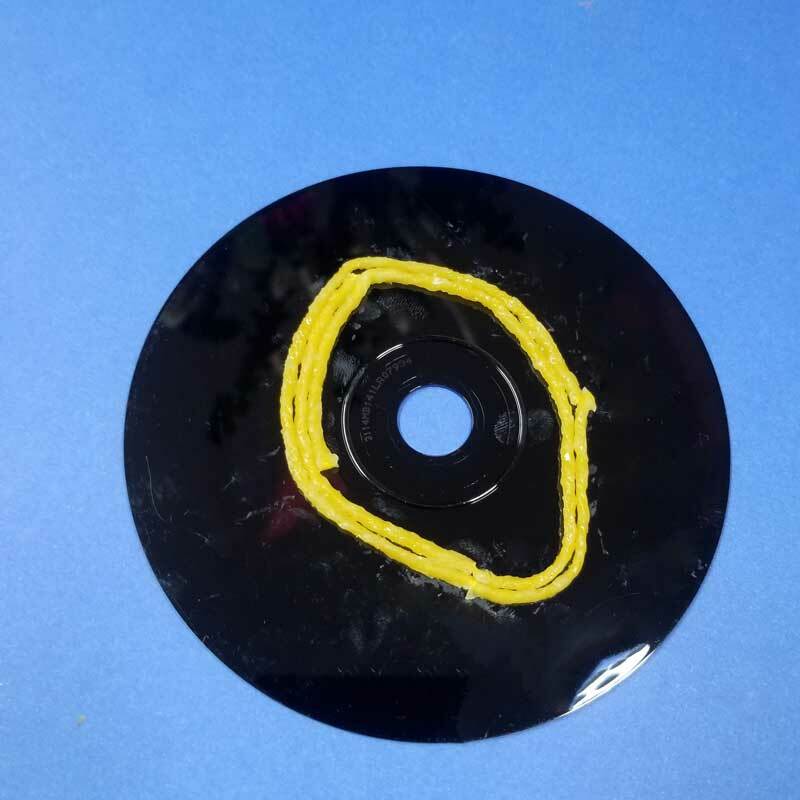 You can also use music CDs or DVDs that you already backed up, or get some on the cheap special for this craft. Because Wikki Stix are self-sticking, they are really simple to use. 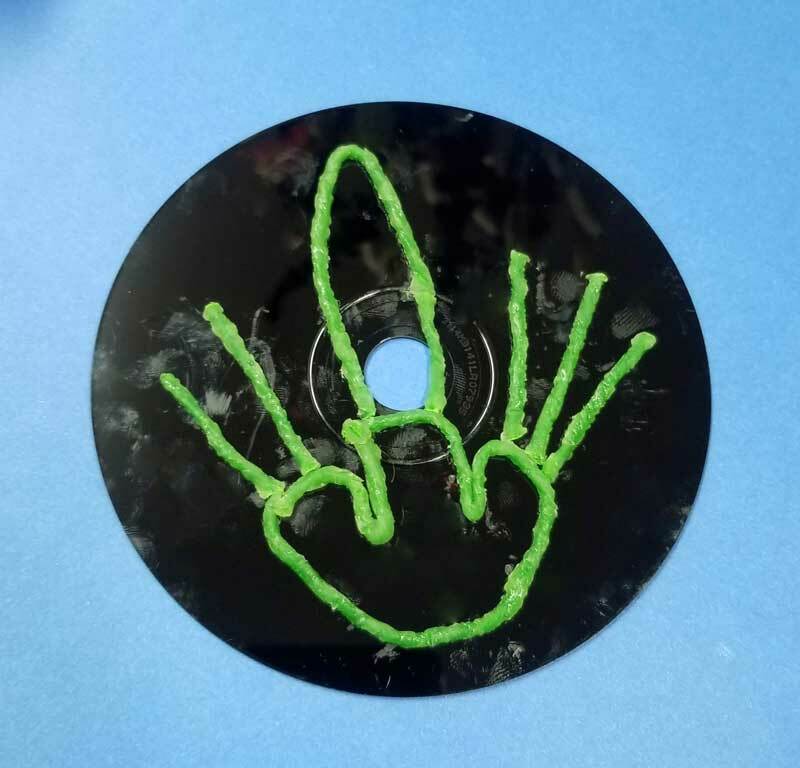 The Wikki Stix did leave fingerprints and stains on the CDs which can be cleaned off when you’re done making your sukkah decorations, but you’ll see them throughout the photos. 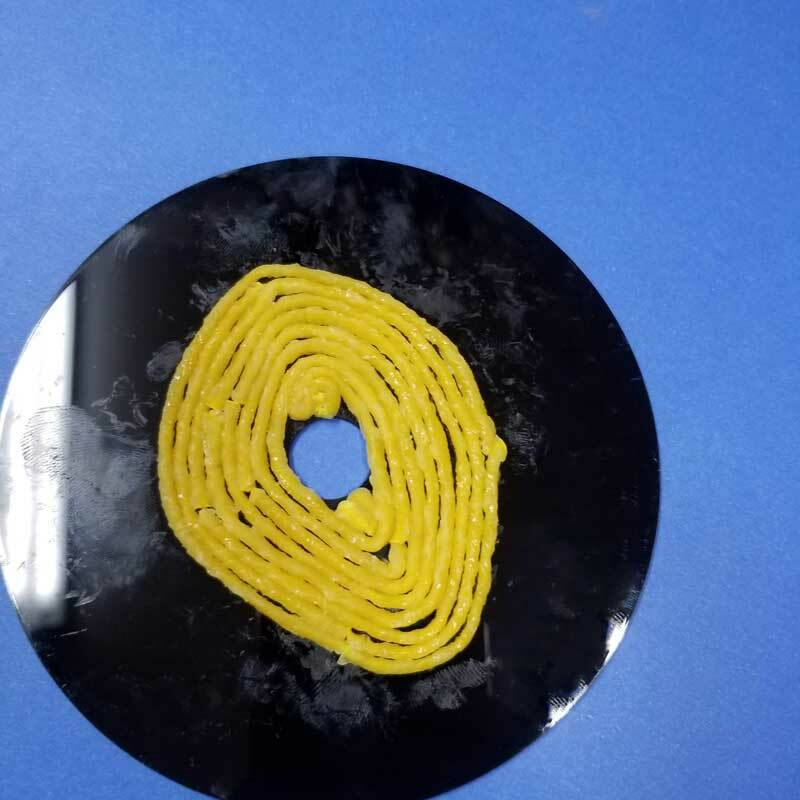 They’re actually not as visible on the final product as they show up in photos – simply because the CD captures light when photographed, while the wax doesn’t, making the contrast there deceptive. 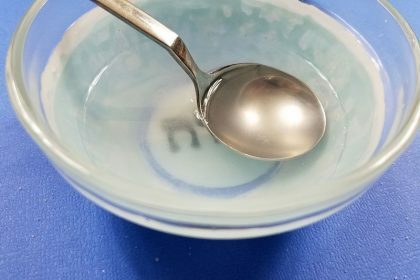 Regardless, you can simply wash them off using a baby wipe or wet paper towel sprayed with some Windex. The final project looks a bit like string art but is much neater and simpler! 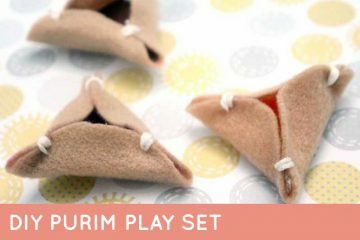 You can seriously do this Sukkot craft on the way to your hosts, on erev chag after the house has been cleaned – it makes very minimal mess. 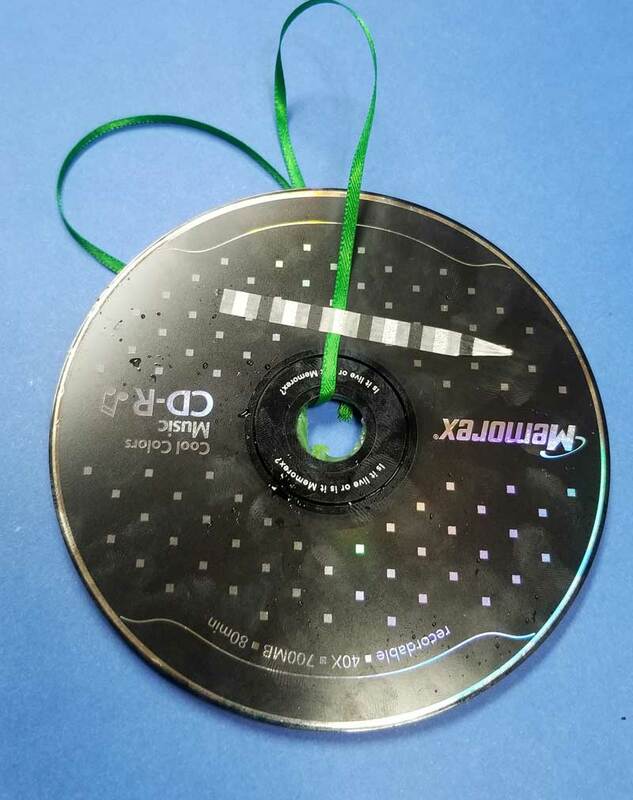 The parts of the CD that show catch the light and make it a pretty suncatcher. Just hang it on pushpins or nails on your Sukkah wall. 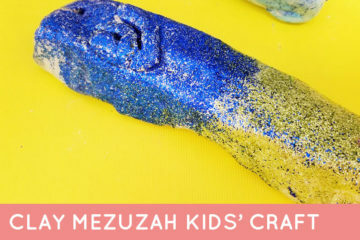 I know this is one of the first questions that come to mind when Americans make Sukkah decoration crafts – we all have memories of soggy Sukkahs with a hopeless mess of decorations. 1. You can either make up your own designs, or try some like I’ve done! Outline the shape you want to make. Cut any excess Wikki Stix with scissors. 2. 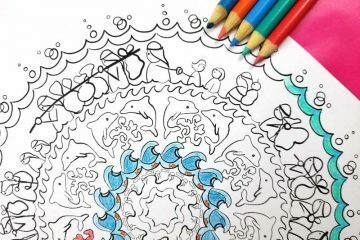 Start filling in your shape by coiling the Wikki Stix inside your outline. 3. Continue, working around the hole, bending it into the final corners. 4. Add a ribbon through the hole and tie to make a hanger. 5. For a Lulav, the outline will be much more complicated. Just start with the simplest form and then fill it in. 6. If you want to make sure your ribbon stays at the top of your design, add a piece of tape. I don’t feel like this is totally necessary, so I used a tape that actually isn’t waterproof. 7. when you’re done, spray a damp paper towel or baby wipe with Windex and clean around the ends. You’ll find it harder to clean in between busy designs like the Lulav, but the wax residue isn’t as visible there anyway. You can use q-tips if you need. When you’re done, wipe it clean with a dry paper towel. 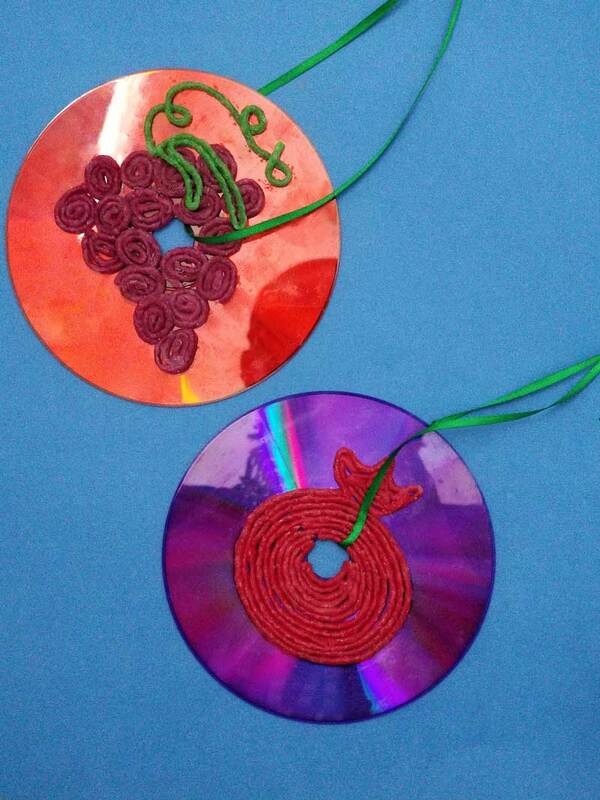 Who will you be making these sukkah decorations with? Which designs will you be creating? Comment below! Check out our top recommendations for the best hot water urns for shabbos here so that you’re ready for the chag! 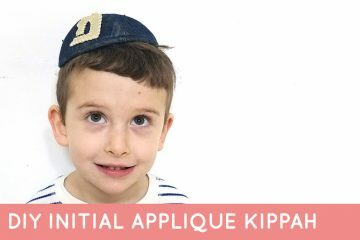 Want more Sukkot fun and organizing tools? 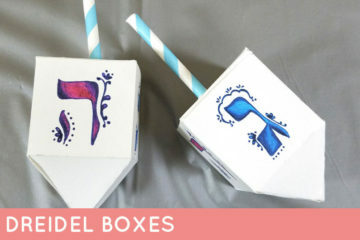 Check out the Tishrei Holidays printable planning and creativity bundle below! 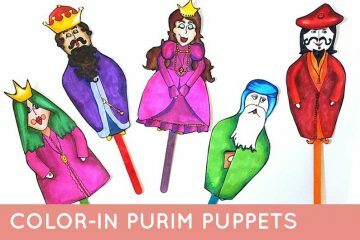 It includes fun Sukkot coloring pages for kids and adults, as well as planners, crafts, coloring pages, and more for all Tishrei holidays. 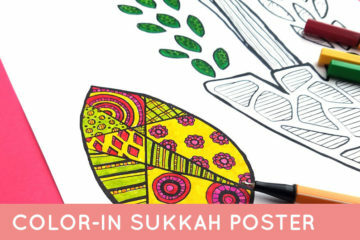 You’ll also get a beautiful printable Sukkah poster, as well as placecards.